While in London at the RGS event I spoke about a different way that I’ve been trying to explain the startup and successful ecosystem needed in places like Africa. Specifically, in the major technology hubs for the continent, these are cities; Nairobi, Jo’burg, Accra, Lagos and Cairo. There seems to be enough funding available for SMEs. How do we get more of them? We have a few good success stories in any one of these cities. There are a handful of great tech companies and organizations that have “made it”. This can be seen as a success in innovation or in business (or in both). Everyone wants to be at the tip of this, and these are the examples we hear of at international conferences and read about in the media. In the middle we have everyone else, the guys who are still slugging away. 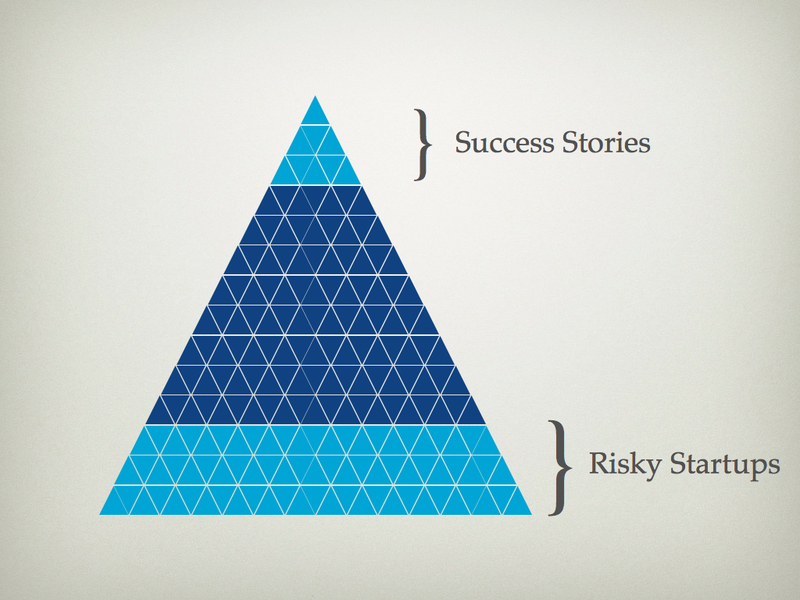 They have some clients and revenue streams, but they’re not at the top (yet). At the bottom, that’s what we deal with in places like the iHub and m:lab. These are those scrappy startups that might or might not have any right being in the place. They’re risky, probably don’t have a solid business model yet, and only a few of them will graduate into the SME space above them. 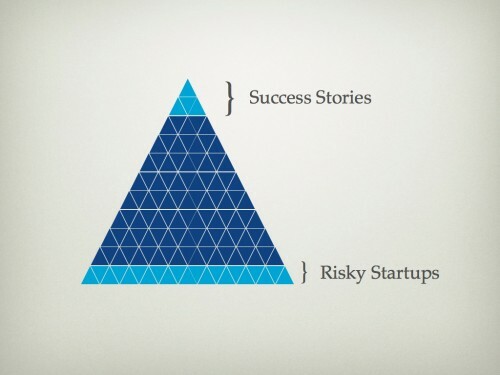 To make the tip of the pyramid bigger, to have more success stories in the tech space, there is only one option: you have to make the base of the pyramid broader. Invest seed funds into local tech entrepreneurs. In the summer of 2008, US-based Mobile-XL launched their new SMS browser in Kenya. I had been in touch with their CEO Guy Kamgaing-Kouam, via email, but we had never had always just missed each other in Kenya or in the US. Since then, I’ve been watching them closely, and seeing how their business unfolds as they target African nations with their new service. They are starting with Kenya, Uganda and Tanzania, but are aiming to roll out in South Africa, Cameroon and Nigeria soon. It seems that Mobile-XL is doing well. In July, they partnered with Fonexpress, a Kenyan retail chain of ICT products and services to provide content and services. In November, they announced that mobile pioneer Alieu Conteh, Chairman of Vodacom Congo, has agreed to join the Board of Advisors. Today, they have announced their biggest news, a collaboration with Nokia to start embedding its SMS based browser in mobile phones for selected African markets. This, of course, is the big prize for any mobile application developer: the chance to have your application bundled with the base-level software available out-of-the-box. Guy, and his team at Mobile-XL, have built the XLBrowser. This is a J2ME (Java) application that utilizes SMS to provide instant access to global and local information using almost any mobile phone. The XLBrowser’s interface allows users to select and instantly receive information, news, sports, finance, entertainment, games, music, and more. Costs appear to be slightly more expensive than a basic SMS message (10/= shillings in Kenya). Though the XLBrowser is a walled garden (content-wise), it is still particularly innovative as they use SMS to send data. This type of technology is perfect for places in rural Africa where WAP, GPRS and internet connections are limited at best. This is the beginnings of something very interesting. Many make claims to “bridging the digital divide”, as do the people at Mobile-XL. But, in this case I think they’re right. It’s not just another application that relies on strong mobile data connections, but one that can work off the very lowest common denominator – which is what is needed in much of Africa today. Their next big trick will be to bring on as many new subscribers as possible, and that only happens when there is real value added through the use of the application. With strong content offerings, ones that people in Africa truly care about, they could very well pull this off. Personally, I’d love to see more businesses take on this challenge. 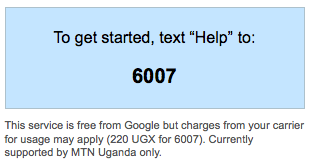 Using SMS to connect Africans to the rest of the web, and the world.